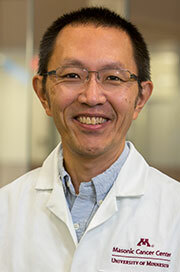 Dr. Shimizu is a Distinguished University Teaching Professor in the Department of Laboratory Medicine and Pathology and holds the Harry Kay Chair in Biomedical Research. He is also the Associate Dean for Graduate Education, Director of the Graduate School Diversity Office, and Immunology program leader in the Masonic Cancer Center. His laboratory focuses on understanding how immune cells respond to environmental cues that modulate cell-cell interactions and cell migration, and the functional significance of these molecular mechanisms of cell adhesion and migration on the ability of the immune system to respond efficiently and specifically to pathogens and tumors. Dr. Binstadt is an Associate Professor in the Division of Rheumatology in the Department of Pediatrics. 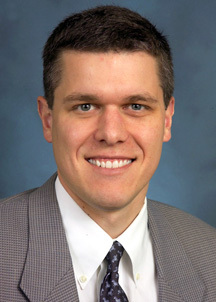 He is also Director of the Pediatric Rheumatology Fellowship Program. He is also Director of the Pediatric Rheumatology Fellowship Program and Director of the Pediatric Physician Scientist Training Program (PSTP). His laboratory in the Center for Immunology is broadly interested in autoimmune disease pathogenesis, including investigating mechanisms of cardiovascular tissue damage in chronic rheumatic diseases. Dr. Seaquist is a Professor in and Director of the Division of Diabetes, Endocrinology and Metabolism and holds the Pennock Family Chair in Diabetes Research. As a clinical investigator, Dr. Seaquist is interested in hypoglycemia and the complications of diabetes. Her research focuses on the effect of diabetes on brain metabolism, structure, and function. She directs the University of Minnesota sites for the Glycemia Reduction Approaches in Diabetes: A Comparative Effectiveness Study (GRADE) study and the Researching Cardiovascular Events with a Weekly Incretin in Diabetes (REWIND) study. 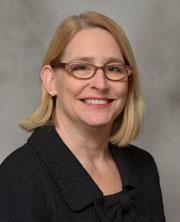 Dr. McLoon is a Professor in the Department of Ophthalmology and Visual Neurosciences. She is currently the Associate Director of the Graduate Program in Neurosciences and Co-Chair of the Promotion and Tenure Committee for the Medical School. She has been funded by the National Eye Institute for many years studying the cause and potential pharmacological treatments for eye movement disorders in children.In addition, her laboratory has been focusing on understanding unique properties of the muscle stem cells in the extraocular muscles as a potential explanation for why these muscles are spared in a large number of degenerative neurologic and muscle disorders, including muscular dystrophy and amyotrophic lateral sclerosis. 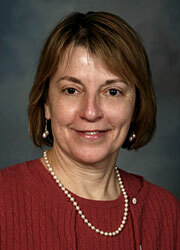 Susan has been with the MSTP Program since January 1997. She enjoys working directly with our students and feels that the primary purpose of her position is to be an advocate during their training. She works with students directly to assist in each step of the process of completing the Program, helping them graduate with as much ease as possible. One of Susan’s interests is Alternative and Complementary Medicine. She is a trained human and canine massage therapist and in her free time is studying acupuncture and Chinese Medicine.